Want to boost your leadership skills? Want to get more involved in Circle K? Join the district board! We’re currently taking applications for district chair positions. Please fill out the contact form below if you’re interested in any of these positions! Want to run for office at District Convention? Be sure to read the rules and regulations! Also, fill out the declaration form and the specific application for the position you want to run for. District Secretary-Treasurer: keep track of service hours, interclubs, and Kiwanis family relations for the district. Take notes at board meetings. keep track of budgeting, collecting, and disbursing the district’s money and manages the dues process. Lieutenant governor: be a liaison between clubs and the district. Visit the division’s clubs and help them become better. Help start new clubs. Check the About Us page for information about what clubs are in each division. Laws, Regulations, and Awards: keep the District Bylaws, Policy Codes, and Awards Packet up to date. Public Relations: help clubs market their open houses, events, and themselves in general. Membership Development & Education: help clubs reach their membership goals, retain members, and educate members on the K Family. On To International Convention (OTIC): promote CKIx to members! Send information to clubs, answer questions, and attend CKIx this summer. Technology: Update the district’s websites and social media sites (Facebook, Twitter) and maintain the website as a marketing tool and archive of past events and communications. Fall Rally: plan fall rally including location, activities, and promotion. District Convention: plan and execute district convention including choosing and booking a location, setting up workshops, planning the agenda, and choosing the speakers. Spring Officers Training (SpOT): plan SpOT, including location and date, and promote the event. 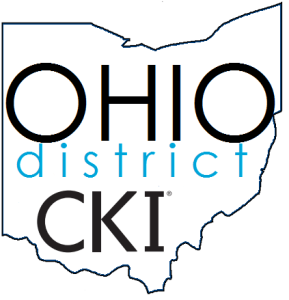 Kiwanis Family Relations: increase connections with other branches of the K Family throughout the Ohio District. Service: promote international service partners and assist clubs with new project ideas. If you are interested in any of the positions or would like to receive more information, feel free to contact Austin Underwood at odckigovernor@gmail.com. Applications are due April 15th, 2018.